First day of the summer hollidays and very hot in Belgium ! For the children it means playing outside in the swimming pool and doing all kind of 'holliday-stuf'. 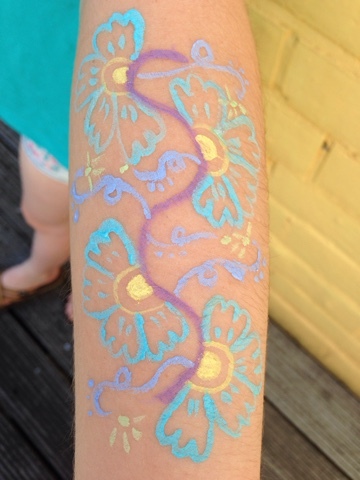 Like... my youngest asked me to zentangle her arm. Which I did, I used the pattern Henna Drum for it in some nice colours.